Does competitive matchmaking do any sort of skill-based balancing? At the moment I'm finding that most competitive games are pretty imbalanced. A lot of the time one side completely steamrolls the other. What it kind of looks like is that there's little to no form of skill-based balancing in the matchmaking process. On INS 2014 community servers, there often was some sort of a balancing mechanism. On some servers with active admins the admins themselves asked people to balance the teams. Now I understand that when the game peaks at mere 7k players, it's not possible to create a perfectly balanced matchmaker. The competitive player pool is simply too small. However, the game could still do better in balancing players between the two teams once a match has been formed. I find the experience of playing games where you're 99% sure to win or lose solely due to the mismatching in skill between the teams to be quite poor. So.. Does the matchmaker currently try to account player rank into account at all when it creates the two teams or is just a full dice roll? @tzaeru I can't speak to the normal PvP gamemode, but I do have some thoughts on the competitive. Like you said, the player base is small and the comp pool even smaller. I would question if there will ever be enough players to really have solid match ups every single game, but I don't think that's the only issue. In my brief experience with comp (i just finished my placements last night), I played mostly with a 5 man premade team using discord. I don't think I played against another premade team in all of those 10 matches, perhaps 2-3 playing together at most. I would argue 2-3 experienced players working together and playing against 5 equally experienced coordinated players is never a fair match up. Unfortunately, I don't think the player base will get to a point where separate queues can be put in place. 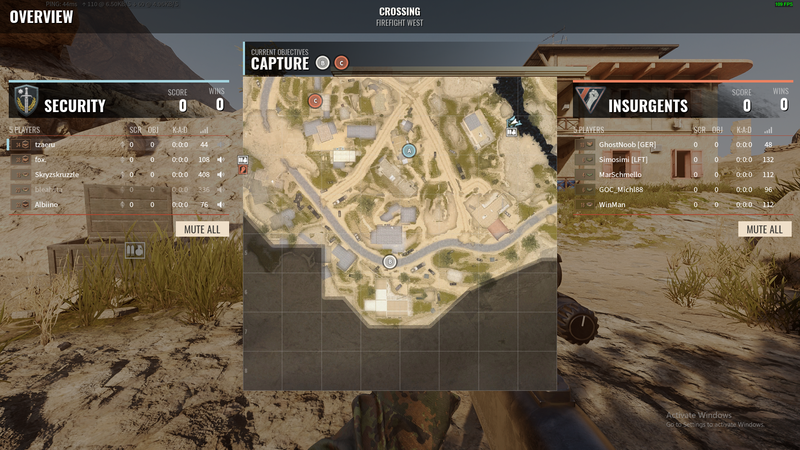 Chances are comp insurgency is going to echo the previous game. Premade teams all playing on custom servers and self hosted tournaments. I do think a player rank req needs to be put in place. I played against multiple >5 level accounts. Even if they are good at shooters, map knowledge and awareness is key. I think I got to level 10 in around 5-7 hours maybe. Even putting a cap at 10 would prohibit people for buying and immediately going into comp. That might help the vast skill disparity a bit. Interpreting from the chat, at least some of those players were not in a stack. We obviously won, easily. Wasn't a fair match at all. I and Albiino were stacking, but e.g. fox. wasn't in our team. Perhaps if enemy had fox and we had one of the low rankers it'd have been a bit more balanced. On the other hand, I understand that if low skill are forced into the same team with high skill players, then the high skill players can feel very frustrated... It's a difficult problem. The minimum, I think, is having a rank requirement for comp, whether it's 5 or 10. But some sort of "soft" matchmaking capabilities that try to minimize their impact on the queue times could be considered. As well as some between-teams balancing, possibly.